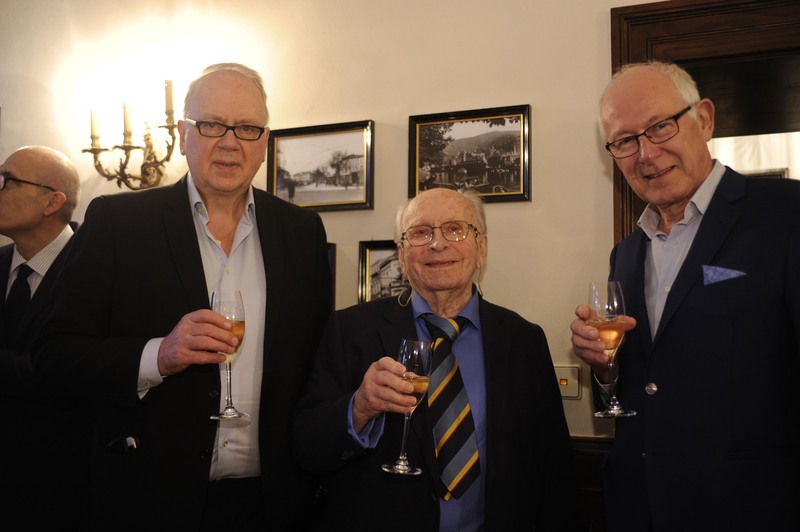 Jón Karlsson, Ejnar Eriksson and René Verdonk (L to R). Ejnar Eriksson launched our now prestigious journal in 1993. His reasoning was simple — many excellent papers presented at ESKA’s early congresses were only published in book form which meant that they could not be accessed online and were not listed in PubMed. Thus, we needed our own scientific journal. The challenge was our competitors. We had to contend for papers with long-established British and American journals with proven impact factors for papers while ensuring we had enough of the right quality. It seems we succeeded, because within three years KSSTA had been indexed by the US National Library of Medicine, by Index Medicus and by MEDLINE. It had also received a surprisingly good impact assessment. We took this as an early acknowledgement for our strivings. impact factor of 3.097 in 2015 and 3.227 in 2016. This assures its importance in the field, as is attested by the quality and sheer number of papers we receive. We are now ranked in the top third among Orthopedics and Sports Sciences journals. We publish papers about innovative knee surgery, sports trauma surgery and arthroscopy. Each issue features a series of peer-reviewed articles that deal with diagnosis and management and with basic research. Each issue also contains at least one review article about an important clinical problem. Unique case presentations or short notes about technical innovations are also often published. The articles cover all aspects of knee surgery and sports trauma. They also deal with epidemiology, diagnosis, treatment and prevention, and all types of arthroscopy (not only the knee but also the shoulder, elbow, wrist, hip, ankle, etc.). Articles on new diagnostic techniques such as MRI and ultrasound and high-quality articles about the biomechanics of joints, muscles and tendons are also included. Few other areas of orthopedic surgery and traumatology have undergone such a dramatic evolution in the last 10 years as knee surgery, arthroscopy and sports traumatology. KSSTA serves this expansion. Because we are supported by a distinguished Editorial Board, you can be assured that the journal maintains the highest standards.